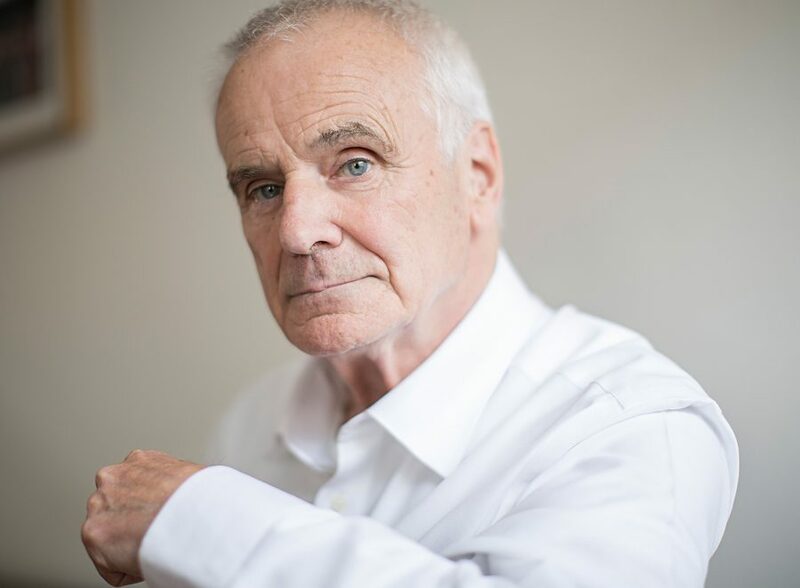 World premiere of Sir Peter Maxwell Davies’ oratorio Jõb. Inspired by the Book of Jõb, the work is adapted from Stephen Mitchell’s translation of the ancient biblical poem. The powerful text recounts the suffering of Jõb, a righteous man who feels his God has betrayed him. Maxwell Davies’ enthralling and challenging score illuminates the profound nature of the work. I have been interested in Job since I was eighteen and at university, initially from the book itself and its unresolvable moral questions. This interest was further stimulated by reading Jung’s Answer to Job, and has remained keen ever since. I welcomed the opportunity to investigate the work with abstract music rather than concrete words. The oratorio Job is scored for four vocal soloists, chorus and orchestra. I framed the work in two passages for almost unaccompanied chorus. This gives it something of the character of plainsong, and contains the musical seeds from which the whole structure grows, and into which it finally dissolves. The characters involved are not each represented by a particular voice, or by a particular kind of music. I saw the work as an internal drama that occurs inside Job’s head. By and large, Job and friends are solo voices and the chorus has God’s words, but by no means exclusively – I allowed the text to blossom over all available sources. Some of the main musical argument occurs in purely orchestral passages – most notable where God appears in the whirlwind in Part 3 and between the last words of Job and the final plainsong-like chorus. The work progresses with musical matrial in a continuous state of transformation: there are few points of recapitulation where the listener feels on safe and familiar ground. An essential component of the experience, I believe an audience will find Job compelling enough to ready identification despite this relative disorientiation. Commissioned by the University of British Columbia School of Music with funding provided by David Lemon. A CBC Stereo production in association with The Chan Centre for the Performing Arts and The British Council.